Lately in life, I find myself thinking back to times where I was carefree. Basically, any time before bills and children, and I smile. A lot. Not that I dislike my life at the moment, I mean, have you seen my husband and children?! They’re the epitome of cute! However, long summers spent with the Houseful Of Taylors (my sister and brothers) in Memphis, TN with my Granny Blackburn and her impromptu tea time , send me on long journeys of nostalgia. Running down the street with my siblings in tow, playing hide ‘go seek, Mother May I, and countless other games of summers past. Then I think of Tea. Sun tea specifically, and I am inclined to make some, but never have the time. Chicago hasn’t exactly been inviting with it’s weather (as I sit here today, it’s only 60 degrees and it’s June) and I just haven’t been feeling the happy that was behind sun tea in the first place. That all changed when Lil Miss woke up and asked for some tea to drink. My children have old souls, I tell ya. Lipton Fresh Brewed Ice Tea helps to make sure that we take the summer slowly, over ice cold sweet sun tea, and freshly made buttermilk biscuits. 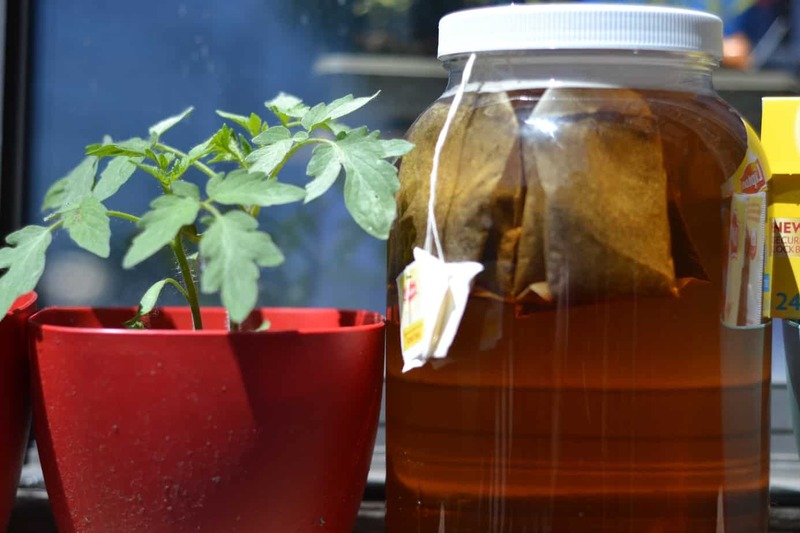 The general trick to sun tea is a large jar. To keep with nostalgia, I found a large pickle jar – wait just a minute – washed it thoroughly and air dried it in order to get rid of any vinegar smell. These were a hot commodity when we were younger, and it wasn’t unusual to find several of them lined up in the kitchen of my Granny Blackburn just waiting to be used for a beautifully sweet tea for tea time. Those moments were so precious. It was TORTURE to wait for the sun to warm the water and teabags up, until the color deepened to golden brown signalling that it was ready for us to enjoy. We would get mason jars, and I’ll never forget that she had to always have a plastic tumbler that she would wrap in the softest paper towels known to mankind. It’s one of the things that I still do to this day when I want to remember her. When I asked her about it, she informed me that it kept the condensation from leaking onto whatever surface the cup was sitting on. I just thought that it made my Granny Blackburn one of the coolest women on Earth. For this particular snack based in nostalgia, I headed to Walmart to check out what types of Lipton Tea they had. They did have one that could be a straight Iced Tea brew with cold water, and that is all fine and dandy, but we went old school. It’s nice that the bags will brew in cold water though, and brew with the same strength as if they were steeped in hot water for several minutes. 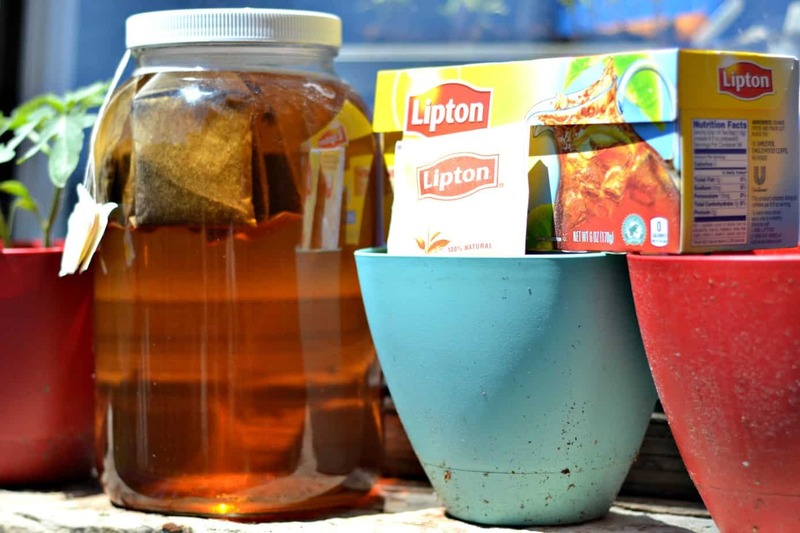 The key to making sun tea is definitely patience. You can use as many tea bags as you would like – it all depends on the strength that you like. You also need direct sunlight at LEAST six hours. Yes. A six hour tea. I completely understand that Lipton makes an Iced Tea brew, and that I could have also made the tea by boiling water and brewing that way. That’s no fun, AND it doesn’t provide great memories. 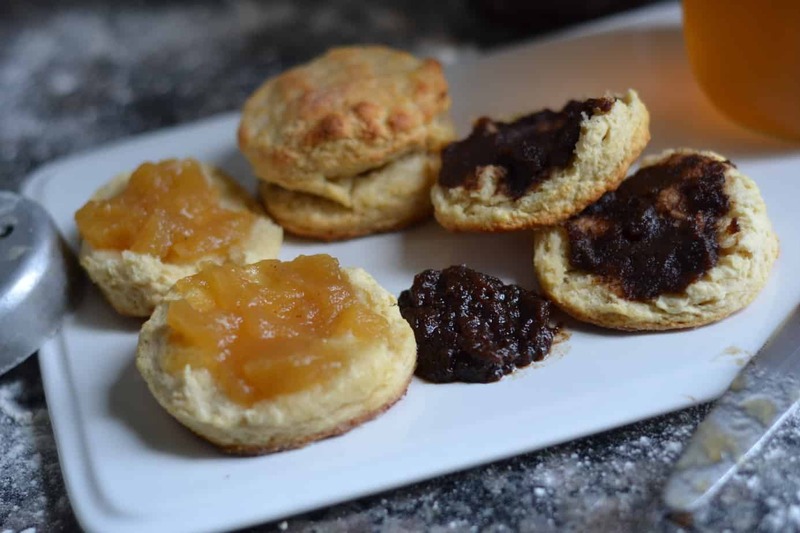 For my pairing, I decided to make buttermilk biscuits from scratch and smother them in homemade apple butter. 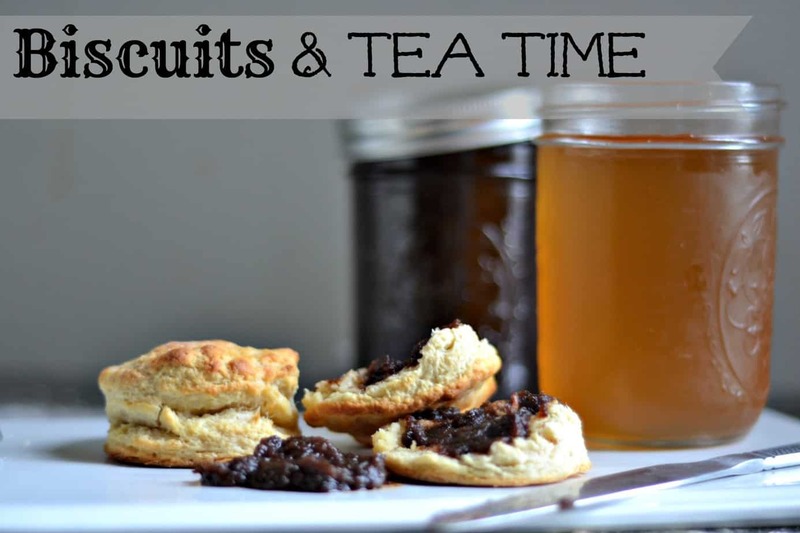 Thinking about it now makes my mouth water and my heart yearn for just one more afternoon at the table for tea time with my Granny Blackburn. I learned to enjoy the art of just sitting through her. Being able to sit down and enjoy the gentle breeze from her back yard. Or sitting and snapping green beans from her garden. It all just seemed to make this pairing of a southern staple that much more perfect. The underlying flavors of the apple from the apple butter and the pineapple from the pineapple jam that I used, rounded out the flavor of the tea perfectly! How do you enjoy tea time in your home? Does it provide any sort of nostalgia for you? Share with me! 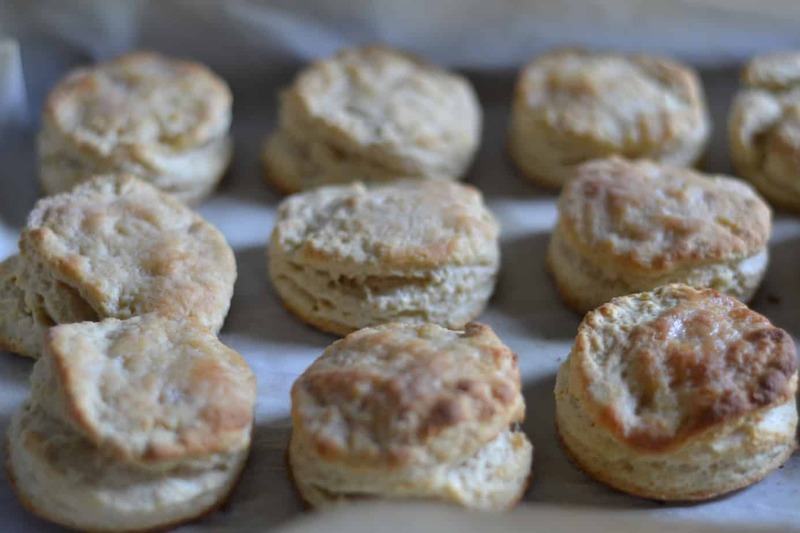 Southern style buttermilk biscuits that melt in your mouth! Combine all dry ingredients and whisk until everything is mixed together. Knead cut pieces of cold butter into mixture until it looks like crumbled meal. 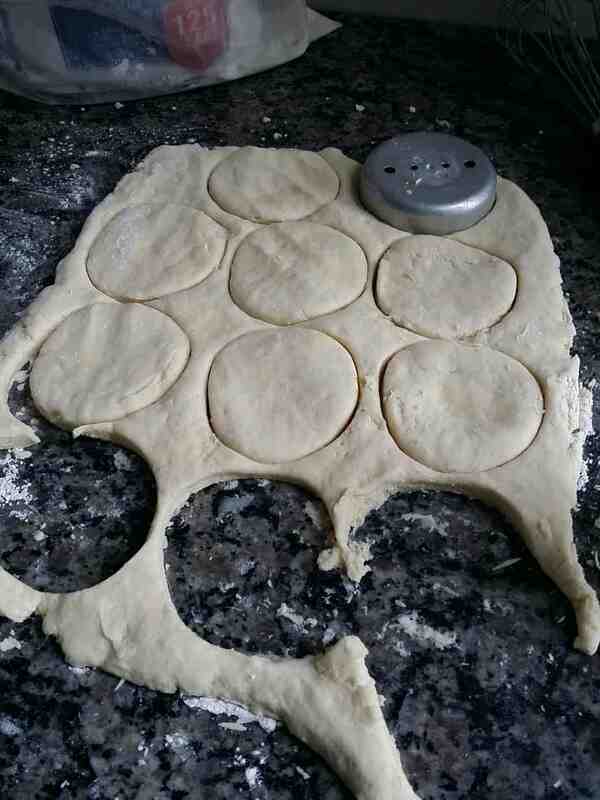 Transfer dough onto a lightly floured surface, and roll out until 1/2 inch in thickness. Place onto cookie sheet lined in parchment paper and bake for 12-15 minutes or until golden brown on top. You can use the rest of the dough, just know that the biscuits won't rise as high and be as fluffy because of the extra kneading that is done. If you use self rising flour, omit all other dry ingredients and switch the unsalted butter out for salted. 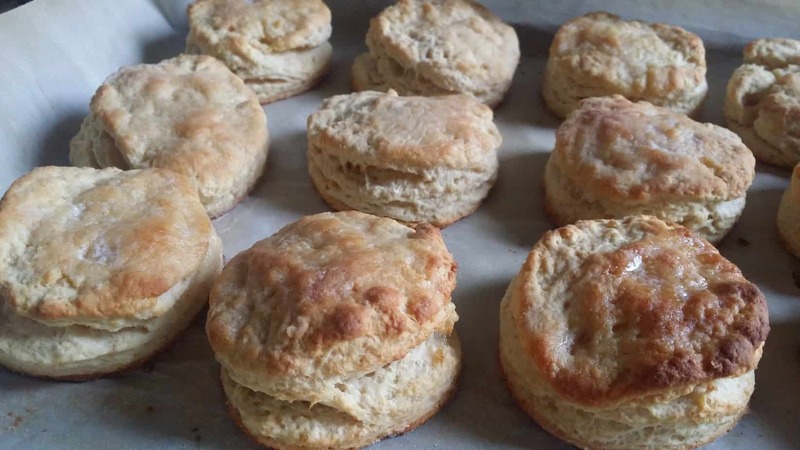 To insure that the biscuits rise while baking, take your thumb and press a little bit into the center of each cut biscuit before placing it into the oven.